Agrichemical/biotech proponents say that the scientific consensus is that GMO foods are safe, but the truth is that the IAASTD Global Report, co-sponsored by the WHO (World Health Organization) and six other world organizations, says GMOs have NOT been proven safe. 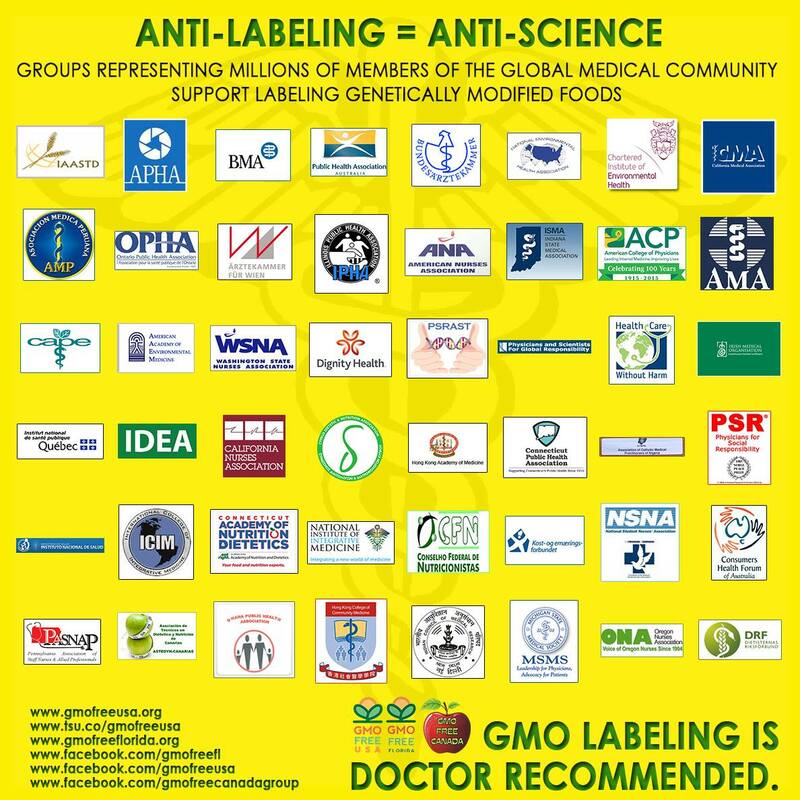 Following are 124 other health or science related organizations from around the world that are in agreement with the IAASTD report, and/or support mandatory GMO labeling. Also, read Food & Water Watch’s September 2014 Issue Brief titled “The So-Called Scientific ‘Consensus’: Why the Debate on GMO Safety Is Not Over” to learn how GMO advocates misinform the public. Download the Issue Brief PDF HERE. 16. Australian Medical Association (AMA) (27,000 members): “Genetically modified foods have been developed and introduced without regard for full and independent safety evaluation, or full and adequate public consultation or rigorous assessment of health impacts.” – Australian Medical Association, Public Health Association, Australian Consumers’ Association, ‘Grave fears that gene food labels will be denied to consumers’, Media Release, 29 July 1999. 56. COMMITTEE FOR NATURE CONSERVATION, POLISH ACADEMY OF SCIENCES: Translation: There are already recognized the direct and indirect environmental risks from GMOs, whose far-reaching and multi-dimensional consequences need to be investigated. There is similar evidence, advertised in the major scientific journals and reliable synthetic studies on the adverse health effects of cultivation and consumption foods created on the basis of GMOs. in Polish : Istnieją rozpoznane już bezpośrednie i pośrednie zagrożenia ekologiczne ze strony GMO, których dalekosiężne i wielowymiarowe konsekwencje wymagają zbadania i oszacowania, Istnieją analogiczne dowody, anonsowane w najpoważniejszych czasopismach naukowych i rzetelnych opracowaniach syntetycznych, na negatywne skutki zdrowotne upraw i spożywania pokarmów tworzonych na bazie GMO. Over 250 scientists support this committee.